Vehicle detection plays effective and significant role in autonomous cars where car is taught to detect the vehicle along it’s path. Though various researches have been done in this area and many methods have been used, still this area has room for improvements. 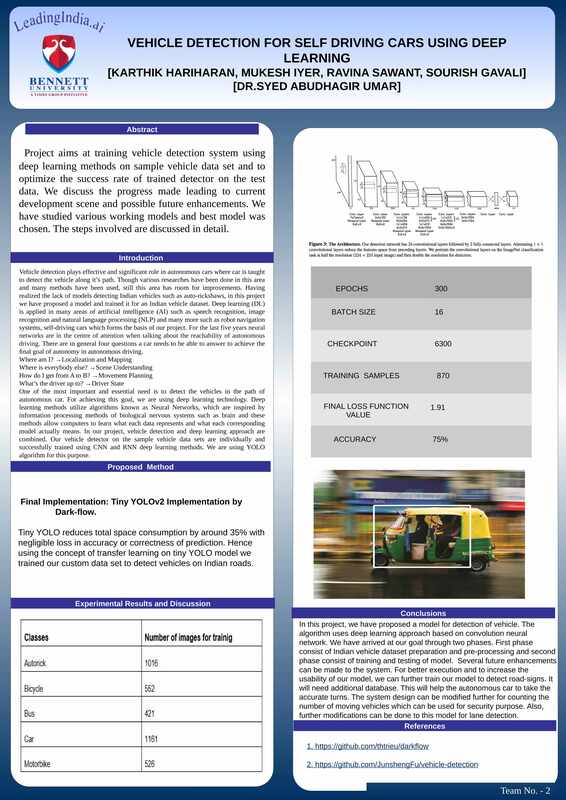 Having realized the lack of models detecting Indian vehicles such as auto-rickshaws, in this project we have proposed a model and trained it for an Indian vehicle dataset.